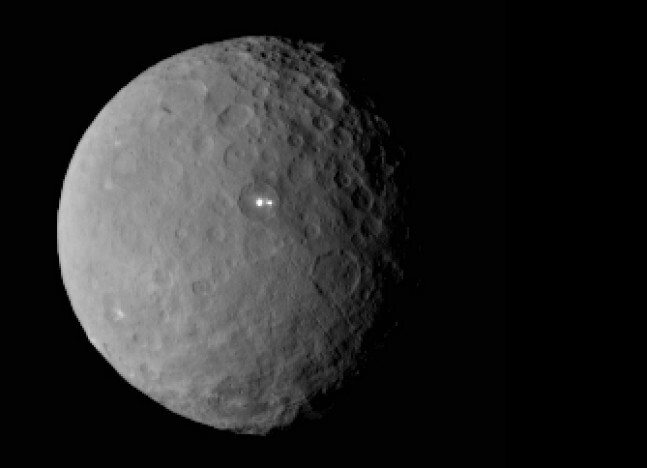 The bright spots on the dwarf planet Ceres continue to come into clearer focus. The tiny worlds that straddle the region of the Solar System known as the asteroid belt have come into sharper focus thanks to NASA’s Dawn mission. 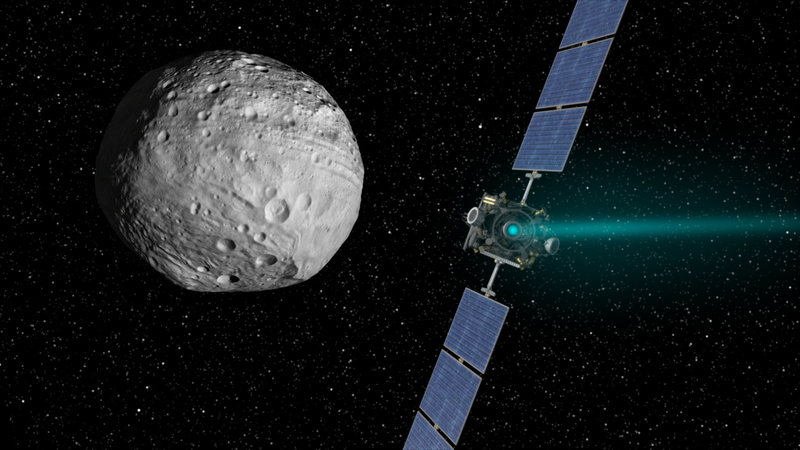 Since its launch in 2007, the ion engine-powered spacecraft has already traveled to and left the asteroid Vesta and is now in the process of circling closer to the dwarf planet Ceres. The mission is rewriting what we know about this mostly unexplored region of our cosmic backyard. As noted, Dawn is, at present, in orbit above Ceres, whose most interesting feature is a series of very bright sections within one of Ceres’ craters. NASA has released a video, comprised of images taken during Dawn’s first mapping orbit, at an altitude of 8,400 miles (13,600 kilometers), as well as the most recent navigational images taken from 3,200 miles (5,100 kilometers). Culled from approximately 80 images, the data within the video was produced by using overlapping pictures to provide three-dimensional detail. The images have a resolution of 1,400 feet (410 meters) per pixel. It is the bright spots that have been viewed on Ceres’ surface that has garnered the greatest amount of attention with the public. The bright spots are located in a crater measuring some 5 miles (90 kilometers) across. With a central, prominent point surrounded by many individual, smaller bright points of various size. To date, scientists have no explanation as to the observed locations or brightness levels. While the bright spots might have captured the public’s eye, there are plenty of other points of interest that have got the scientific community’s attention. These include activity on its surface, with evidence of flows, landslides, and collapsed structures. Dawn has also beamed back images from the spacecraft’s visible and infrared mapping spectrometer (VIR) that show a portion of Ceres’ northern hemisphere. These were captured by the probe on May 16 and include a true-color view as well as a temperature view of this portion of the small world. The temperature view was produced using data collected in the infrared light range. 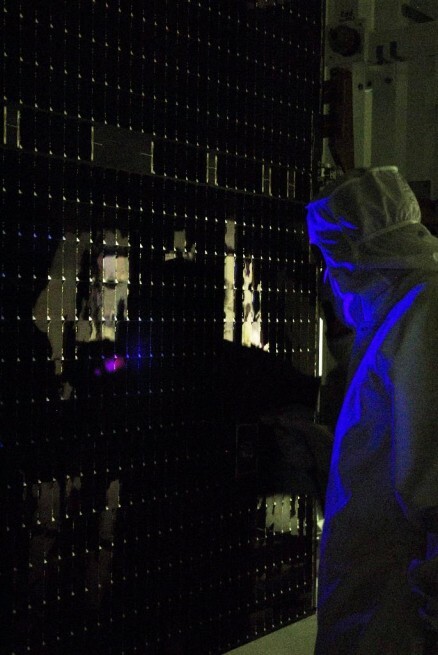 The VIR is also the instrument tasked with determining the true nature of the bright spots. The spacecraft entered into its second mapping orbit a little more than a week ago on June 3. The roughly $446 million probe will spend the better part of this month in this orbit, some 2,700 miles (4,400 kilometers) above its surface. Each orbit will last for a period of approximately three days. The public has grown accustomed to science fiction television and movies that depict spacecraft traveling from one destination to the next. Dawn is the first spacecraft to depart the Earth, enter into orbit above one body (Vesta), and then break orbit and head to another destination. Dawn spent a year and two months at Vesta before it was directed to head to Ceres. The spacecraft arrived in Ceres “space” on March 6 of this year (2015). Dawn, a part of NASA’s Discovery Program, is managed for the space agency by the Jet Propulsion Laboratory in Pasadena, California. The craft was designed and built by Orbital ATK with organizations such as the German Aerospace Center, the Max Planck Institute for Solar System Research, the Italian Space Agency, and the Italian National Astrophysical Institute serving as international partners.